Play: Golden State Warriors -7.5. The Golden State Warriors have been on a roll as of late. They beat this same Rocket team by 25 last Saturday. They then beat the Nuggets 122-79 followed up their 25-point win over the Rockets on Saturday. On Monday the embarrassed the Nuggets 122-79. Against the Nuggets, Klay Thompson led the Warriors in scoring with 22 points. 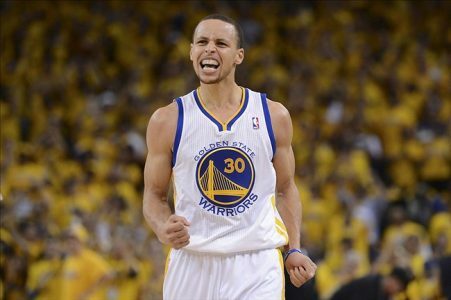 Stephen Curry added 20 points and also dished out 8 assists. The Warriors were up by 27 points at the half. With such a big lead Golden State was allowed to use their whole bench in the second half. With the win, Golden State improved to 33-6 on the season and they are a remarkable 18-1 at home. The Houston Rockets have won six of their last eight overall and are 29-13 this season. They won their last game over the Pacers on Monday 110-98. James Harden led the Rockets with 45 points. He was red hot from the field, shooting an incredible 12-18 from the floor. Dwight Howard bounced back from a quiet night on Saturday with a season-high 45 points on 12 of 18 shooting on Monday while Dwight Howard had a double double, contributing 14 points and 17 rebounds. The Rockets are 0-4 ATS in the last four meetings against the Warriors. The Warriors have beaten the Rockets three times already this season and I see it happening again today. The last time they played Houston lost by 23 and though I don’t see that big a win, I can’t go against a Warrior team that has been unbelievable so far this year. Play on Golden State. This is a free play.